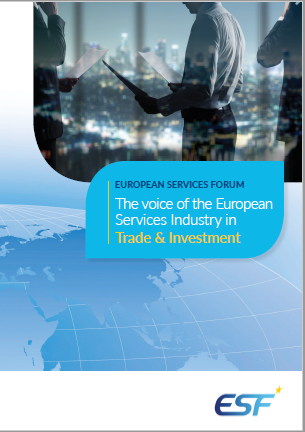 EU-Australia | "The Voice of the European Services Sectors in International Trade"
On the occasion of the travel of EU Trade Commissioner Cecilia Malmström to Australia on 18 June 2018, the European Services Forum (ESF) and the Australian Services Roundtable (ASR) welcome the launch of the EU-Australia Free Trade Agreement (FTA) negotiations. Services represent over 35% of Australia’s total exports to the EU, and vice-versa. Services-related issues will be crucial components of the final agreement. See Press release here. On the 22nd of May 2018, the Council of the European Union adopted the decision authorizing the opening of the negotiations for a Free Trade Agreement between the European Union and Australia. As of 2017, the EU was Australia’s second biggest trade partner in bilateral trade in goods after China. Trade between the two has risen steadily in recent years reaching €38bn in 2017. On 15 October 2018, Adelaide Universtity Press published the new book “Potential Benefits of an Australia-EU FTA – Key Issues an Options” edited by Jane Drak-Brockmann and Patrick Messerlin. ESF Director Pascal Kerneis contributed to two chapters of the book: Chapter 6 “Limit of the EU Negotiating Competence” and Chapter 14 “Professional services”. You can find the book here. the New Trade Agenda” that was published by ANU Press in June 2017. You can find the flyer of the book here. You can download the book for free here. During a recent trip of the Secretariat to Australia, where ESF Director attended, as member of its Steering Committee, the EU-Australia Leadership Forum, European and Australian chief negotiators expressed a large interest in a FTA with the EU, with a particular focus on services which represent 38% of total EU exports to Australia, and 46% of total Australia exports to the EU. ESF Director also visited New Zealand negotiators in Wellington, who strongly supported the importance of services in the forthcoming bilateral deal. Members were reminded that there were hopes the mandates to start FTA negotiations between EU-Australia & EU-New Zealand would go forward by the end of November. But much will still depend on the discussion in the Council (and in the TPC) on the architecture of future FTAs. This means, on whether member states would accept to move ahead with the FTA (full competence of the EU) and taking more time to decide on the way forward for the agreements requiring “mixed competence”, which would include investment protection. Once launched, ESF expects these negotiations to move quickly, as Commission President Juncker expressed the wish to conclude the talks by the end of his term (November 2019 – see Speech of State of the Union). EU-Australian negotiations are quite high on the Commission’s priorities. Negotiations are tasked to be completed by March 2019 if possible (i.e. by Exit day!). These negotiations will be based on a negative list, using TiSA or CETA as a basis. In line with announcements made by president Jean-Claude Juncker on Wednesday (13 September 2017) in Strasbourg, the Commission released the draft mandates it is requesting from member states to negotiate free trade negotiations with Australia and with New Zealand. It also published executive summaries and the whole Impact Assessments that the Commission is bound to run before putting any decision’s proposal to the Council. The two draft mandates for the FTAs with Australia and New Zealand are nearly identical and are in accordance with the scoping exercises that were adopted last April (see ESF PC30 of 30 June 2017). They contain well-known EU goals in FTAs, and are structured like the future table of content of the future deals . The mandates also stand out for calling for a high degree of ambition in the area of services: the EU wants the two parties to conclude free trade agreements that go beyond the offers made in the currently stalled multilateral Trade in Services Agreement – or TiSA – negotiations. Furthermore, the Agreement should include rules concerning “performance requirements related to foreign direct investment”. This is an issue that ESF should look at into more details, since it ensure that none of the Parties may impose, or enforce any requirements, or enforce any commitment or undertaking, in connection with the establishment, acquisition, expansion, management, conduct or operation of all investments in its territory to exporters or investors activities listed in the agreement (see Article 8-5 of CETA as a reference). Regulatory provisions for specific sectors including telecommunication services, financial services, delivery services and international maritime transport services”. 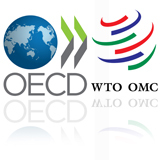 It is also interesting to note that the mandates also include the negotiation of provisions on banning forced data localisation requirements (see page 6 of the Annex): “In the context of the increasing digitalisation of trade, the negotiations should result in rules covering digital trade and cross-border data flows, electronic trust and authentication services, unsolicited direct marketing communications, and addressing unjustified data localisation requirements, while neither negotiating nor affecting the EU’s personal data protection rules”. So, it seems that the Commission, going beyond the already proposed wording on Digital Chapter in EU-Mexico FTA and EU-Japan FTA, is willing to find a solution on the cross-border data flows and data localisation issues, which is – as you know – completely stuck yet. The recent proposal for a regulation on a “framework for the free flow of non-personal data in the European Union” might be a subject that we would need to monitor to see, once the solution within the EU would be found, whether it would be envisaged to apply it also outside the EU. Comments are welcomed. It is also interesting to look at what is not in the mandates. And that leads us to the recent debate on the competence on investment in trade agreements. The draft mandates do not include a recommendation to allow negotiations with Australia and New Zealand on investment protection. Australia is the 13th largest economy in the world and generated a GDP of $1,323 trillion in 2017. That year, the population reached more than 24 million inhabitants. The World Bank Report on “Doing Business” is ranking Australia on the ease of doing business as number 18 out of 190 in 2017, showing that the country is one of the freest market economy in the world but still have room for improvement. With bilateral trade in goods amounting to €47.7 billion in 2017, the EU ranked as Australia’s 2nd largest trading partner after China, while Australia was the EU’s 18th largest trading partner. The travel sector is one of the most important contributors to the country’s growth. In 2014, it counted for 60.0% of the economy’s total exports in services and for 42.1% of the economy’s total imports in services. The same year, Australia ranked 11th among exporters of travel services (amounted to €28 407 million) and 9th among importers of travel services (amounted to €23 307 million). In the maritime transport subsector, reforms have been implemented to make the Australian shipping industry more internationally competitive, increase the size of the shipping fleet and promote employment. Financial services also represent an important part of the services sector, contributing to 8.7% of GDP in 2015. The sector is in good health from a prudential perspective but there are concerns, particularly relating to the degree of concentration in banking. Australia’s insurance market is the 12th largest in the world. In 2014, total insurance premiums were equal to around 5% of GDP. In 2012, direct gross premiums per capita were above the OECD average; but the share of foreign companies in the domestic market was under the OECD average, representing 15.8% for life insurance companies and 27.1% for non-life insurance companies. Following the decline in insurance numbers over the past 10-15 years, the general insurance business has become more concentrated, the largest five direct insurance groups accounting for over 70% of direct insurance premiums in 2013. Information media and telecommunications services, it accounted for 3% of GDP in 2012/13. Australia ranked 14th out of 157 economies in the ITU’s 2016 ICT Development Index, moving down three places from the previous year. On foreign direct investments, it should be noted that Australia maintains an open stance towards foreign investment but continues to screen large investment projects to ensure they are in the national interest. FDI proposals subject to screening are rarely rejected, but often have conditions attached. On 2 December 2016, The EU Centre for Global Affairs collaborated with the Australian Services Roundtable (ASR) and the European Australian Business Council (EABC) to sponsor a high profile European business visitor, Pascal Kerneis, Managing Director of the European Services Forum and Member of the Steering Committee for the Australia EU Leadership Forum , to address a Business Breakfast Forum which took more than 50 participants on a business roller coaster ride across the highs, the lows and the bumps in the current services trade negotiating landscape, from doldrums in the GATS and heights of success with TPP, to crisis with TTIP, through BREXIT, across hiccups with CETA, to the end-game with TISA, a new initiative in APEC, the impact of the Trump Administration, EU intentions in Asia and the prospects, against that background, for a safe and successful landing with the Australia/EU FTA. See presentation here.